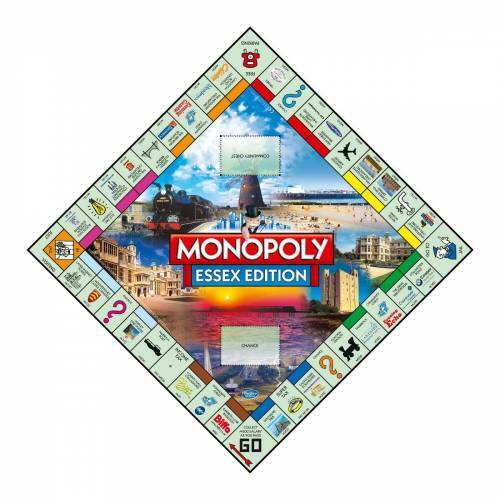 MONOPOLY, the great property trading board game finds its home in beautiful Essex: the ancient Saxon county. 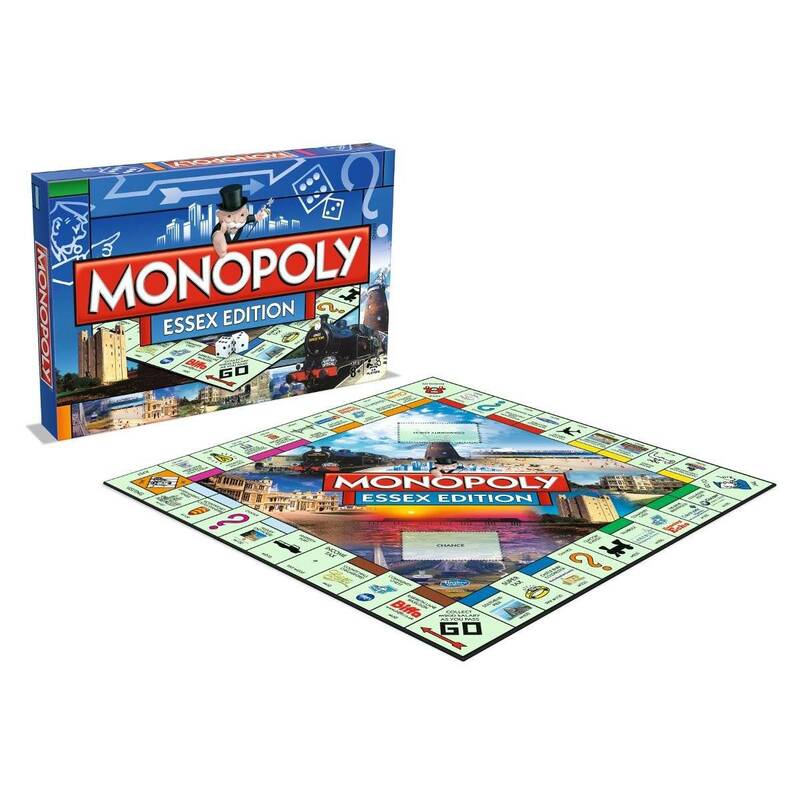 Journey around the gameboard and explore attractions including: Southend Pier, Copped Hall, Epping and Layer Marney Tower. 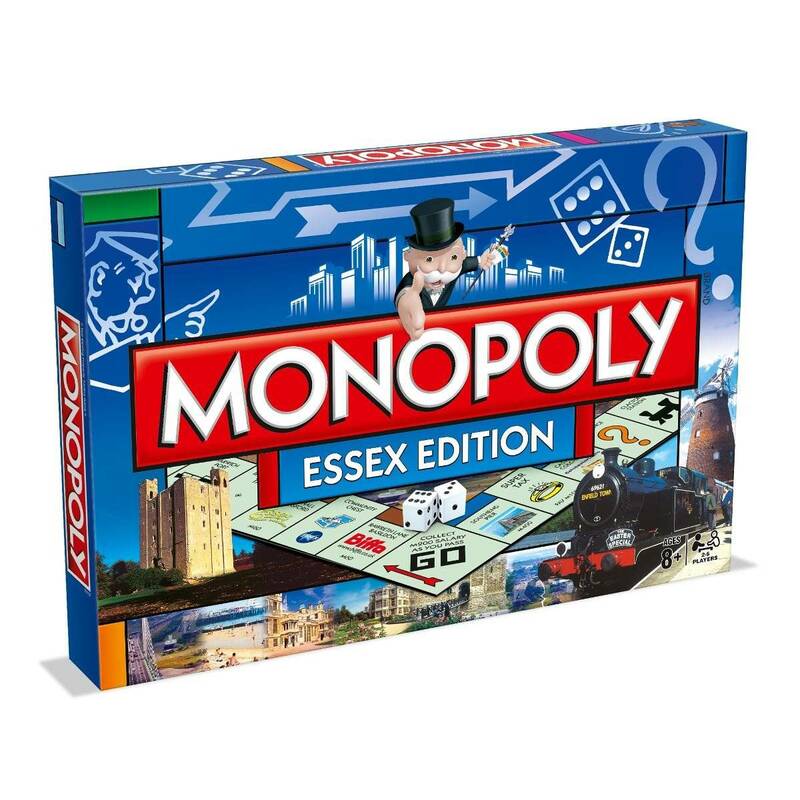 Don’t forget to stop off en route at Audley End House or the County Hall, Chelmsford or why not partake in some retail therapy at Thurrock and Lakeside Shopping Centre, and also be sure to stop at New Street, Braintree.